The overarching theme for the day will be Fake News and Libraries: how information professionals tackle fake newsexplored through a variety of short presentations showcasing projects and ideas that librarians and information professionals have created and are developing to combat fake news, helping students gain the necessary skills to find credible and reliable information. Our keynote speakers are Rita Marcella and Graeme Baxter (Robert Gordon University) and there will be 12 other presentations showcasing how their institutions are approaching the fake news issue and highlight how handling this part of the information landscape is being taught to students. Check out the full programme and the bios, abstracts and presentation slides of our speakers who presented in the morning and afternoon. Rita Marcella, Professor of Information Management, Robert Gordon University. With over thirty years of experience as a researcher and academic in information and library science, Rita Marcella is now Professor of Information Management at the Robert Gordon University in Aberdeen. Current research projects focus on: the building of a classification and taxonomy of information beliefs; the research impact agenda amongst senior, early and mid-career researchers in Information Science; and information behaviour in the context of post-truth politics. She is also evolving theory around information behaviour beliefs and building a network on information as a means of empowerment, information poverty and disadvantage. Previous research has focussed on information behaviour in political and business contexts. Rita has served on national and international funding panels and acts as a referee for a range of international journals and conferences. She has also held posts in senior management in universities but is now focussing on research and teaching. Dr Graeme Baxter is a Research Fellow within the School of Creative and Cultural Business at Robert Gordon University, Aberdeen. His research interests include: the provision and use of government, parliamentary and citizenship information; freedom of information legislation; the provision of information during government public consultation exercises; and the use of the Internet by political parties, elected members and electoral candidates. His doctoral thesis was on the communication and exchange of information between state and stakeholders. He has a keen interest in ‘fake news’ and the credibility of information provided by political actors. A review of the kinds of research being undertaken into fake news will be provided together with some of the results of the authors’ current and proposed research into fact response, fact checking and the journey of the fact. The presentation will consider theoretical positions from politics around fake news and the post-truth society as well as epistemic concepts of trust and the formation of beliefs. 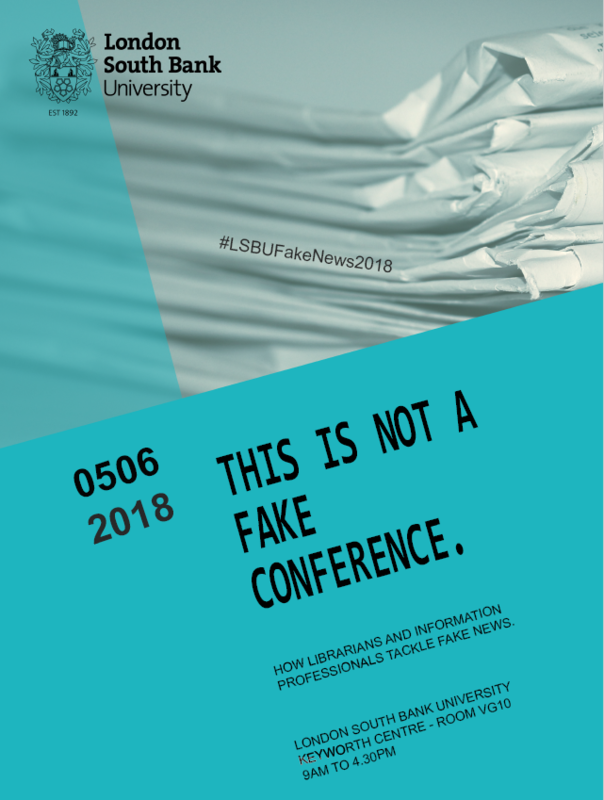 The presentation is designed to elicit audience perspectives on the research agenda for academics and practitioners that would enhance people’s capacity to interrogate fake news, provide better access to fact checking resources and position the role of the LIS community rightly at the forefront of response to the fake news phenomenon in the future.